Noah St. John helps people make money: Since 1997, he’s helped his coaching clients add over half a BILLION dollars in sales. Noah is the only author in history to have works published by Hay House, HarperCollins, Simon & Schuster, Mindvalley, Nightingale-Conant, and the Chicken Soup for the Soul publisher. His 14 books have been published in 17 languages. 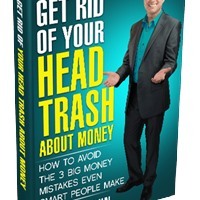 A highly in-demand keynote speaker, Noah is famous for inventing AFFORMATIONS® - a new technology of the mind – and helping people get rid of their head trash so they make more money.